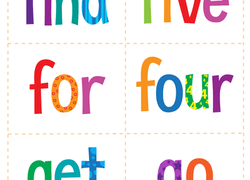 These year one reading flash cards will make sure your kid is quick on the draw with her reading and phonics skills. 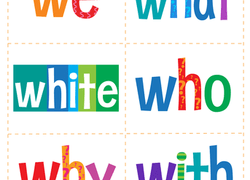 Sight word flash cards improve her overall literacy ability, and will increase her reading and comprehension speed, and the bright, funky designs will make flash cards practise fun and rewarding. 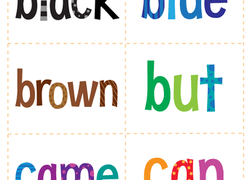 Better than flash cards, this word match card game boosts kids reading skills with a fun, hands-on approach. 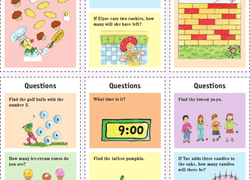 These year one cards cover a broad set of skills including addition, time telling, reading, and science. 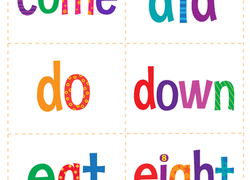 Help your child become a confident reader with these sight word flash cards that you can cut out and tape around the house. Includes words from me to no. 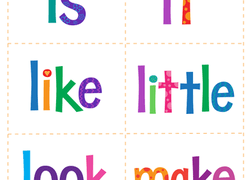 Help your child become a confident reader with these sight word flash cards that you can cut out and tape around the house. Includes words from is to make. 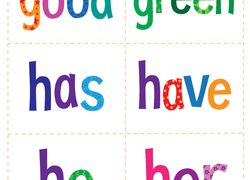 Help your child become a confident reader with these sight word flash cards that you can cut out and tape around the house. Includes words from not to our. 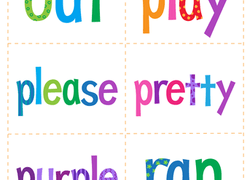 Help your child become a confident reader with these sight word flash cards that you can cut out and tape around the house. Includes words from year to yours. 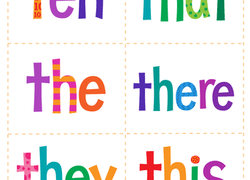 Help your child become a confident reader with these sight word flash cards that you can cut out and tape around the house. Includes words from come to eight. 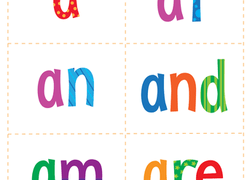 Help your child become a confident reader with these sight word flash cards that you can cut out and tape around the house. Includes words from here to into. 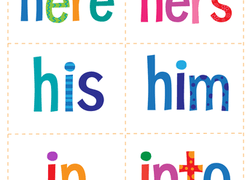 Help your child become a confident reader with these sight word flash cards that you can cut out and tape around the house. Includes words from ten to this. 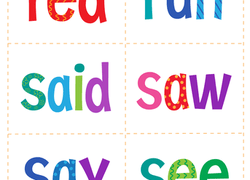 Help your child become a confident reader with these sight word flash cards that you can cut out and tape around the house. Includes words from out to ran. 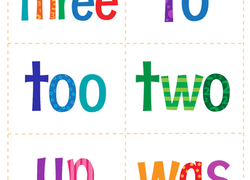 Help your child become a confident reader with these sight word flash cards that you can cut out and tape around the house. Includes words from seven to soon. 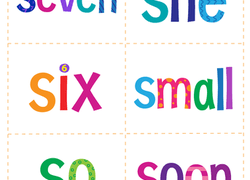 Help your child become a confident reader with these sight word flash cards that you can cut out and tape around the house. Includes words from we to with. 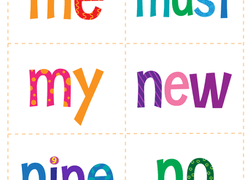 Help your child become a more confident reader with these sight word flash cards that you can cut out and tape around the house. Includes words from as to big. 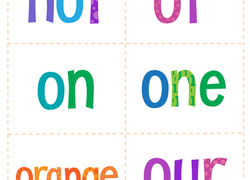 Help your child become a confident reader with these sight word flash cards that you can cut out and tape around the house. Includes words from red to see. 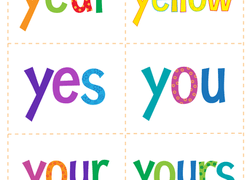 Help your child become a confident reader with these sight word flash cards that you can cut out and tape around the house. Includes words from black to can. Help your child become a confident reader with these sight word flash cards that you can cut out and tape around the house. Includes words from find to go. 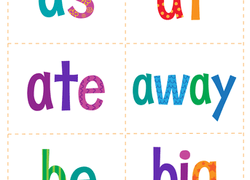 Help your child become a confident reader with these sight word flash cards that you can cut out and tape around the house. Includes words from good to her. Printable valentine cards make preparing for the school celebration a little easier. Get a batch of printable valentine cards featuring cute characters.